Follow NETA on Facebook and Twitter! Fifty-nine people have registered for the 1:1 summit in Kearney on January 28th. We are looking forward to a great event! 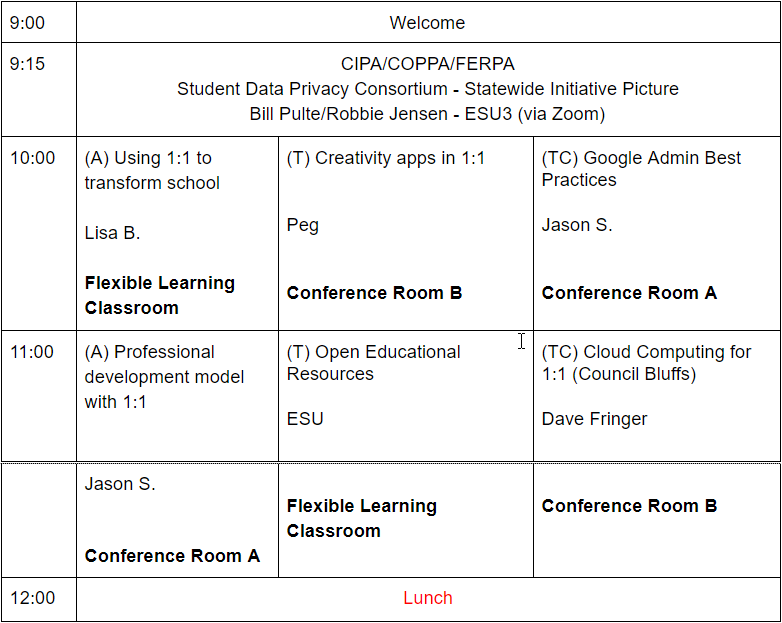 Take a look at the agenda below - whether you can be with us in person or not! The backchannel is embedded below. You can view the agenda at https://goo.gl/HjdUa5.